Sean Penn met with El Chapo’s son, with Venezuela's Hugo Carvajal’s help. A woman reads a newspaper in Mexico City, on Jan. 10, 2016. More crazy details keep surfacing from the cinematic series of events that led to the arrest of Joaquín “El Chapo” Guzmán Loera, until Friday the world’s most wanted criminal and powerful drug kingpin. 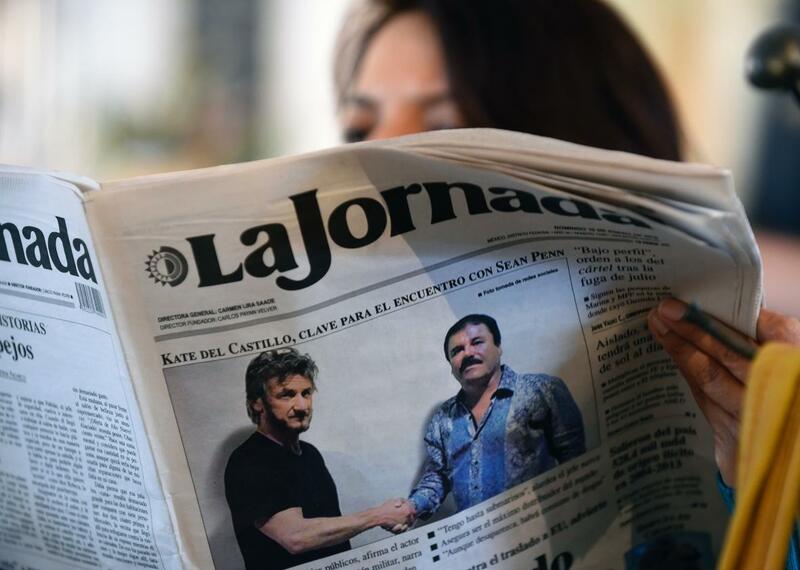 According to a report published Monday in the Spanish newspaper ABC, Sean Penn met with one of El Chapo’s sons in Venezuela in October with the help of an accused drug-dealing ex-chief of Venezuelan military intelligence, Hugo Carvajal. The meeting was to establish the necessary contacts for Penn’s interview of El Chapo, which was published by Rolling Stone on Saturday. Carvajal was arrested in Aruba in July 2014 for allegedly running part of the Los Soles cartel, which sells drugs to El Chapo’s Sinaloa cartel. He was quickly released after a Dutch investigation and returned to his native Venezuela to a “hero’s welcome,” but he is still wanted by the U.S.